I am moving to the Food Service Department ( remember I am going to school for Child nutrition) and I will be in a management type position for the a Kindergarten Center. Brb... 2 minutes... I had too much green tea today. I'm back... if you're still here. Amy wrote: I am moving to the Food Service Department ( remember I am going to school for Child nutrition) and I will be in a management type position for the a Kindergarten Center. Very cool... will this position expand once you earn your degree? Yes... This is a stepping stone. I actually didn't expect to be in this position for another year or so. So, it is exciting...It's all happening a little sooner than I planned. The school is right behind the boys school so I am still close by. Hey.. Mike is home.. Give me about 30 minutes and I'll jump back on. Amy wrote: Hey.. Mike is home.. Give me about 30 minutes and I'll jump back on. Ok.. I'm here until about 4:45. Amy wrote: Yes... This is a stepping stone. I actually didn't expect to be in this position for another year or so. So, it is exciting...It's all happening a little sooner than I planned. The school is right behind the boys school so I am still close by. Logging off, Am... if you come back in. I'll catch up with you tomorrow, I guess. figured i would check things out to see how everyone is....thanks for saying hi last night Bren, I came back around 830 but tubleweeds were blowing by!!! CONGRATS AMY on the new job !!!!!!!! I am a complete crankpot today... I can't stand myself. LOL I think I need to skip out early today and get a headstart on happy hour... do some decompressing. This dark week is getting to me, I suppose... gloomy weather to match the election bad news... and the usual work BS... ah, just Goose me! Chucky... ya still wanna go to lunch on Monday? I think I am in need of an outing. since i got a charles and a chucky in the same blog, how can i say no???? 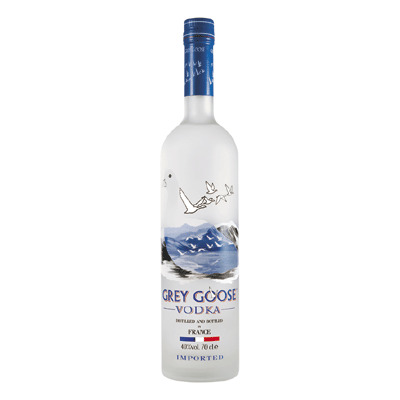 there is your goose !!!!!!!!!!!!!!! ahhhh lunch over, ready 4 a nap !!!!!!! chuckyb wrote: ahhhh lunch over, ready 4 a nap !!!!!!! That is the best combo on a snowy day. Add some cheese to the soup too. Chilli as well is the best on a cold day.